In our quest to build our students’ vocabulary and academic language, we are continuing our tradition of all classrooms reading the same book each month. 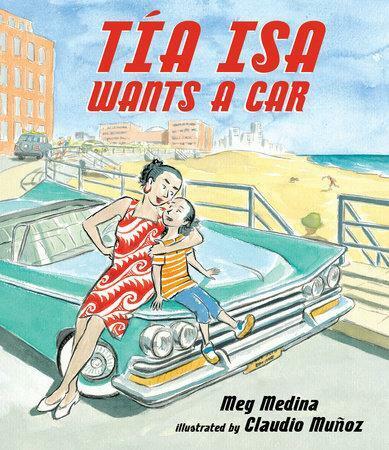 Our book-of-the month for March is Tia Isa Wants a Car, written by Meg Medina and illustrated by Claudio Muñoz. Tia Isa wants a car. A shiny green car the same color as the ocean, with wings like a swooping bird. A car to take the whole family to the beach. But saving is hard when everything goes into two piles, one for here and one for Helping Money, so that family members who live far away might join them someday. While Tia Isa saves, her niece does odd jobs for neighbors so she can add her earnings to her stack. But even with her help, will they ever have enough?